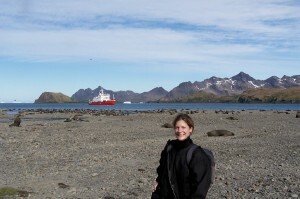 My name is Bryony Pointon and until recently I was the medical officer on the RN Ice Patrol ship HMS Endurance. I am a GP and have been in the Navy for 5 years where I finished my training as well as serving on HMS Cumberland and I was Deputy Principle Medical Officer at RNAS Yeovilton. I grew up in Shoreham-by-sea, a town near Brighton and went to Leeds University. I now have a flat in Portsmouth which I never seem to live in! I enjoy keeping fit, reading, trying new activities and I love travelling. I am also a bit of a science fiction geek. We are now back in the Falkland Islands getting the ship ready for another trip to the ice. Not so far south this time though; we are off to South Georgia. This is my first blog so I had better do a bit of an introduction. 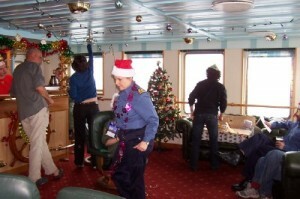 I joined HMS Endurance as the Principle Medical Officer at the end of September. I flew out to the Falklands to join the ship as she is currently on an 18 month deployment and I am the last of 3 doctors who have served on her during this time. I am now on until we sail into Portsmouth some time at the beginning of May. 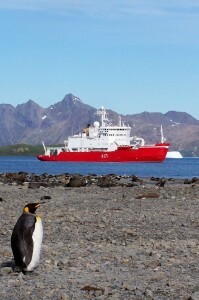 Endurance has just started her operational periods down south for this Antarctic summer.